Polo Black by Ralph Lauren is a Woody Aromatic fragrance for men and was launched in 2005 and gives you elegant long lasting fragrance. This regulating and softening Deodorant protects the skin and offers an invigorating sensation of freshness in a single step. 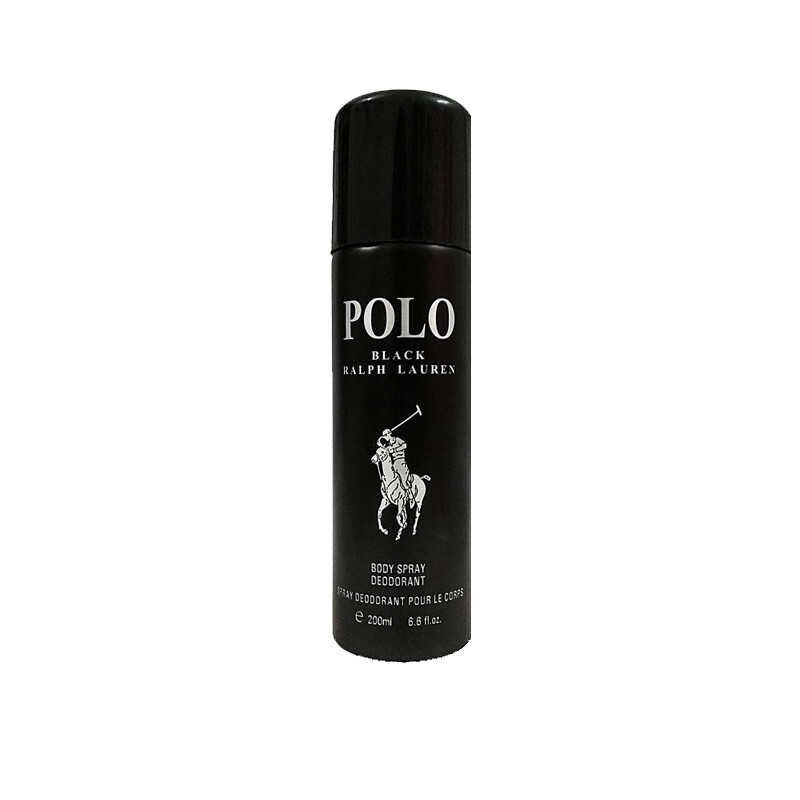 Its formula, which contains alcohol but does not irritate the skin, releases a woody fragrance full of elegance and sensuality, the signature of the Ralph Lauren Polo Deodorant and Body Spray comes in a unique see through bottle and fragrance is especially targeted at youth.